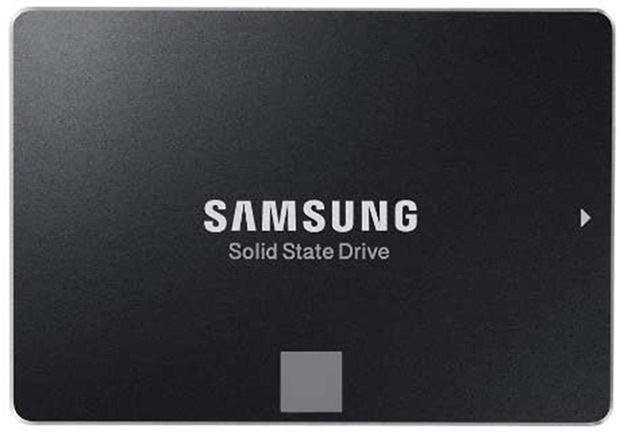 Welcome to our newest yet late-to-the-party-again review about the Samsung 950 Pro solid state drive, which was released right around October, 2015. 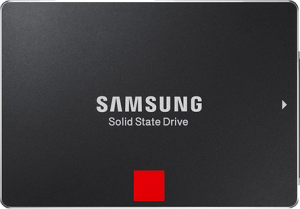 That aside, you probably are aware that Samsung has been one of the top contributors to the SSD industry since the debut of their 840 Series –simply by pushing breakthrough features in SSD technologies each and every generation at a very decent price for end-consumers. 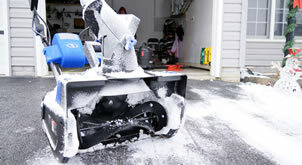 Last year we did a very nice and hot review of the 850 Series versus 840 Series which attracts rave response from your neighbors and everyone else nobody knows; some of that success is partially due to the photo of a pretty Samsung female rep. So to get the priority straight this time, on your right is photo of another Samsung female rep. For those on mobile, you already saw her at the top of the page; such spoiler. With that out of the system, let’s recap what’s new and what have changed since last year 850 Series vs. today flagship 950 Pro. The NVMe abbreviation is short for Non-Volatile Memory Express –as opposed to Volatile Memory a.k.a RAM– and it’s one cool architecture backed by the big brands including Intel, Samsung, Sandisk, Seagate and Dell. The NVMe technology was developed as another mean to access SSD via PCIe lane on the motherboard. The older protocol AHCI pairs well with mechanical drives, but it’s never able to keep up with the low latency SSDs efficiently. As the result, you probably realize by now that there isn’t a SATA version of the 950 Pro available; instead it is replaced by the M.2 interface which relies on PCIe 3.0 bus lane –well known for its robust encoding and higher-bandwidth capability. Folks who have upgraded to Intel Skylake processors recently should also have the M.2 interface readily available at the time of your last fap. 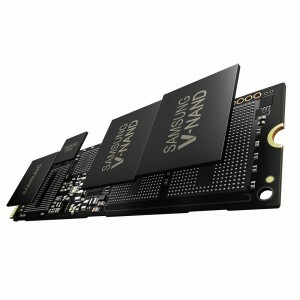 Rest of us probably find it disappointing because your existing system cannot take advantage of this new M.2 SSD setup, but trust the Samsung rep –it is for the better. First, we all know the SATA III interface is theoretically rated at 6 Gb/s –but sure you also know it’s b.s. In real world performance, you can only get 600 MB/s at best, due to the 8b/10b encoding of this protocol. In short, 20% of of the total packet being transferred are overhead –it’s used to recover the actual data that were embedded in. 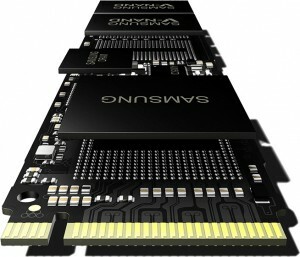 That’s the reason even the best SATA solid-state drive today caps out at 550 MB/s or less. Fortunately, the same complication doesn’t occur with the latest PCI Express revision. The PCIe is an extremely robust bus technology and originally designed as an underlying layer to transport data at super high-speed for video card, thunderbolt card and other add-ons. First gen PCIe version 1.0 and 2.0 have the same percentage of overhead as SATA III today, which is 20%. But it has come along way. The PCIe 3.0 –using 128b/130b encoding– has just 1.54% of overhead of its entire 8GT/s data speed; versus 20% on 5GT/s of Gen 2. Proportionally, PCIe 3.0 wins hands down. Since the Sandy Bridge Z68 Gen 3 all the way to the current Z170 controller, your PCIe 3.0 lane runs at an actual speed of 985 MB/s (manufacturers usually boast it as 1GB/s speed). You may think that 985 MB/s isn’t a lot faster than 600 MB/s of SATA III to worth all the trouble, but that is the speed of just one signle lane –as in PCIe 3.0 x1. In reality, the 950 Pro NVMe SSDs sit on the M.2 slot that’s allocated with PCIe 3.0 x4 bandwidth, essentially gives you 3.94 GB/s transfer rate. That’s beast. NVMe is the technology that helps your motherboard access SSD via the PCIe 3.0 x4 bus lane. M.2 is how the SSD physically connects to the motherboard. M.2 is meant to be the universal way to replace mini PCIe, SATA Express and mSATA interfaces. M.2 effectively runs up to 3.94Gb/s versus SATA III 600MB/s. 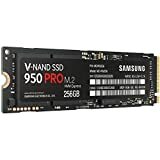 $35 OFF Samsung 950 Pro @ Amazon.com! Since the beginning of time, desktop hard drives have always been connected to the mobo via some sort of link: IDE ribbon, SATA cable and faith –let alone power cable. It’s always a mini cluster around these drives. The situation is slightly better for laptop and notebook because they are typically equipped with modern Mini PCIe (x1 lane) or mSATA (600 MB/s) interface and have a small foot-print storage component…yet it’s still not fast enough. 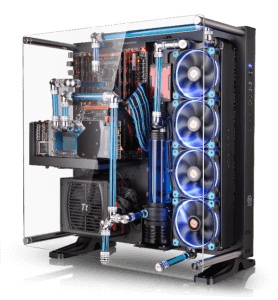 Therefore, the 950 Pro is kinda a big leap for the PC industry –it’s a perfect combination of the greatness from both worlds. It’s fast and it’s small. Your NVMe SSD now takes less space and directly fits into the M.2 slot on the motherboard, which gives you more room for cable management and less hassle to setup the device. The cherry on top is the 3.94 GB/s transfer rate that no longer be the bottleneck for SSDs. The 950 Pro inherits many features of the 850 Pro, especially the V-NAND technology. If you have forgotten, the V-NAND is like an high-rise apartment where layers of multiple units (MLC) stacked on top of one another so more people (data) can live in one area, instead of spreading out like community town-houses. Now the major change regarding V-NAND is the 950 Pro carries 40nm 128Gbit MLC versus 40nm 86Gbit MLC on the 850 Pro. On other hand, the 850 EVO uses 19nm 128Gbit TLC instead, hence the small hit on performance. The increase of the die capacity from 86Gbit to 128Gbit has more positive cost impact to MLC V-NAND than to TLC V-NAND : Faster, cheaper SSDs. Samsung will be able to pack more dies and create larger size SSD at a significantly lower price while keeping up with the performance MLC delivers. The 850 Pro should remain a solid position for the SATA market but soon will switch to 128Gbit MLC from its 86Gbit MLC. 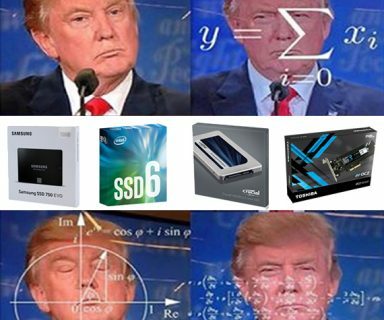 Imagine 2TB SSD for $99 ? 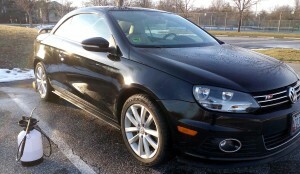 I’d take it. How about 4TB 850 Pro ? It’ll be here before you know it. 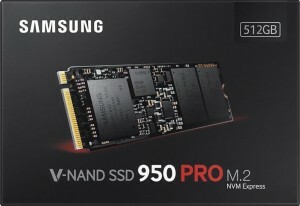 So, we learned about the NVMe protocol and we learned about the 128Gbit MLC V-NAND, the last thing you need to know is the middle guy who connects the two technologies together: the 950 Pro’s internal controller. Back in the old age, Samsung implemented ARM-based Triple-core MEX 400MHz to direct the traffic in and out of the 850 Series and it still works way too well for everybody. In the 950 Pro, you’ll instead find the new triple-core 8-channel UBX controller paired with 512MB LPDDR4 memory operating in the very back end of this platform. This is the key factor to remedy the performance impact of moving from 86Gbit to 128Gbit die capacity, and also improve IOPS more consistently. So what are the figures ? The UBX controllers can navigate sequential reads up to 2500MB/s and sequential writes top at 1500MB/s with 300K IOPS random reads and 110K IOPS random writes on your demand. Specs-wise, the 950 Pro is like One Punch Man compared to previous generations of SATA SSDs. Samsung 850 Pro (link to last review) is a great alternative choice for 950 Pro if you do not have M.2 slot. Finally, please take a seat. Here we have the verdict. By looking at the charts below, it’s obvious that the weak point of the 950 Pro is random writes –where small chunk of data are expected to be written quickly to random locations of the MLC dies. In real world for instance, that reflects a saving of several folders, mixed files and other suspicious videos to the SSD in a hurry. The Differences between All Asus Mainstream Z170 Motherboards. On other hand you have sequential write where you copy a single 1GB file to the SSD; that will be done in just a mere second –well sh*t, only if our Internet was also that fast. Finally, in the last two charts of Read performance benchmarks is where the 950 Pro shines best. 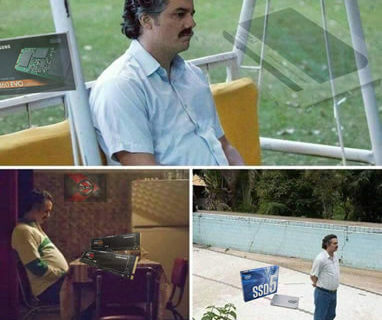 For most of us, the reason we put a SSD into our PC because we want a more responsive system with fast startup and minimal load time on programs. There isn’t a SATA SSD out there that could even be anywhere close to 950 Pro NVMe when it comes to retrieving existing data and this proves it. Meanwhile, Intel 750 NVMe Series is another option with extremely aggressive random write capability. It also comes second in Read benchmarks and I think that’s impressive. However, the bulky setup of an actual PCIe slot SSD instead of M.2 slot drive might be an eye-sore/hassle for some of us. I know, first world problem. To make matter worse, you will also lose roughly 112GB of storage capacity while paying a bit more. 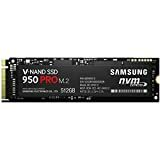 Eventually, if your Z170 motherboard has M.2 and you are looking for a NVMe SSD then go with Samsung 950 Pro. If budget doesn’t allow like my wife didn’t, you go ahead and check out the OCZ RD400 review –you may really enjoy it, too. Finally, you don’t have M.2 at all then Intel 750 SSD will slide right into the existing PCIe x4 slot with pleasure. There is also the 2.5″ version of the Intel 750 Series but the cost might be the deal breaker for those on a tighter budget. If the 950 Pro or Intel 750 price is too steep, be sure to check out the more affordable OCZ RD400 in the suspicious link right below.